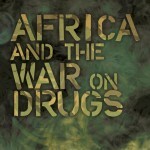 The publishers claim for Africa and the War on Drugs that it is a vital book on a neglected subject. The book is indeed timely and makes important points, but the subject is far from being overlooked, as the authors themselves acknowledge when they complain about the “sensationalizing of the drug situation in Africa.” Neil Carrier and Gernot Klantschnig, the co-authors, begin their argument from this point, noting that the simplifying narrative spurned by the American-driven ‘war on drugs’ has been utterly counterproductive in Africa. This is because the effort has merely led to increased militarization, repression and corruption without tackling the “real problems surrounding the production, trade and use of drugs” on the continent (p.2). There is much truth in this observation, but the authors’ conclusions in this brief, well-written and tightly argued book – an extended polemic rather than a substantial study – are overdrawn. This is partly because they anchor their arguments on their distaste for the Reagan-inspired ‘war on drugs’ and its depredations before seriously considering the evidence of its manifestations in Africa. More importantly, they seem somewhat dismissive of African anxieties around the pernicious problem of drug trafficking, and are almost entirely ignorant of the work of African researchers and policy makers who are looking at the problem from within Africa. The African Union (AU) Plan of Action on Drug Control and Crime Prevention 2007-2012 captures African anxiety in this respect by noting the “increased linkages between drugs and conventional and organized crime in Africa.” I attended the 4th session of the AU Conference of Ministers for Drug Control and Crime Prevention, held at its headquarters in Addis Ababa, Ethiopia, on 29 September to 2 October in 2010. Meant to review the implementation of the Action Plan, the meeting stressed increased investment in medical treatment, collaborative law enforcement to prevent trafficking, and preventative measures to curb addiction. South Africa and Kenya appeared to possess more advanced treatment programmes, but all the countries agreed on a multi-dimensional approach to limit the problem. Some experts at the meeting, mainly from South Africa, expressed the fear that the increased use of intravenous drugs may well undermine the largely successful efforts to limit the spread of HIV Aids, a point which is not often discussed in the debate on drug abuse in Africa. The authors of Africa and the War on Drugs mention the AU Action Plan in passing among other regional initiatives, but only to underline their key argument in the book: that policies implemented based on such plans “have prioritized the tougher interdiction, prosecution and punishment of drug criminals” (p.129). This sounds glib in the context. Of the three case studies in the book – Nigeria, Guinea-Bissau and Lesotho – the authors identify only Nigeria as using outright repression to tackle the problem. Guinea-Bissau is said to be complicit in international trafficking, and Lesotho merely neglectful. The authors tediously wrestle with the notion of ‘weak’ (and ‘criminal’) states in Africa, and with respect to Guinea-Bissau – which has seemed to be the complete manifestation of this notion – they argue that though there is “strong evidence” of its military’s involvement in drug trafficking, “some of the subsequent claims of the state-crime nexus made in the media can be considered unfounded” (p.113. I quickly checked the publication date for this book – 11 October 2012. This is way after army officers known for their participation in the international narcotics trade in the country overthrew the internationally-credible civilian administration in between national elections on 22 April 2012. The coup showed that these soldiers were the state; and as it happens, recent reports suggest that drug trafficking through the country has increased exponentially. It makes nonsense of the authors’ claim that political instability in the country “might be the best guarantee for the decline of Guinea-Bissau’s status as a ‘narco-state’”. The absurd statement is made in the context of the authors’ view that the country’s political instability means that narco-traffickers have to constantly look for local collaborators – anyone minimally familiar with Guinea-Bissau knows that its military has remained the unshakable power for decades. The undoubted merit of this book is in its providing of historical depth to understanding the problem, using mainly the penetrating works of the Harvard (and Ghanaian) scholar Emmanuel Acheampong and the distinguished British Africanist Stephen Ellis, among others. [i] This aspect, however, is almost obscured by the extended discussion that the authors give to perfectly legitimate and largely non-controversial drugs like alcohol, cola nut, cigarettes and khat (the latter a highly valuable export for the Ethiopian government, and a popular and mild narcotic, as I found out while living in Ethiopia in 2010-2011). For these reasons – and there are more – Ghana should provide the most important case study of the problem. I interviewed Yaw Akrassi-Sarpong, the Executive Secretary of Ghana’s Narcotics Control Board, in April 2011. He said that because of its stability, reasonably sophisticated banking system and large property market, Ghana is attractive as a base for big time cocaine traffickers and dealers. Money laundering was a key concerned. “We have the highest convictions for narcotics-related offences in the region,” he told me, “but the problem is manifold.” Akrassi-Sarpong said that the problem has to be tackled regionally, but law-enforcement mechanisms are extremely weak in neighbouring Francophone countries and this trafficking from those countries into Ghana and elsewhere in the region. A May 2010 report by the Dakar-based GIABA entitled Corruption–Money Laundering Nexus: An Analysis of Risks and Control Measures in West Africa, not mentioned by the authors of Africa and the War on Drugs, made similar points. In the past, Ghanaian nationals have been convicted in the US for drug trafficking, including a member of parliament who was arrested in November 2005 in New York and was linked to a trafficking network operating in New York. While I was in Ghana in April 2011, six people were sentenced to long terms in prison for unlawful possession of 22 boxes of cocaine “found hidden in a concealed compartment behind a big-sized mirror.” Some high officials of the previous government in Ghana – the Kuffour administration – were widely believed to be complicit in the illicit business. Developments such as those largely informed the anxieties expressed in the July 2009 UNODC report, Transnational Trafficking and the Rule of Law in West Africa: A Threat Assessment, which noted that drug trafficking in West Africa has undermined the rule of law, deepened corruption and jeopardised state and human security in the region. This report led to the first UN Security Council debate on this issue, on 8 December 2009, during the rotating presidency of Burkina Faso. The debate led to a presidential statement urging the UN Secretary General to “consider mainstreaming the issue of drug trafficking as a factor in conflict prevention strategies, conflict analysis, integrated-missions’ assessment and planning and peacebuilding support.” Since then, the sheer scale of the cocaine seized in Liberia, the Gambia and elsewhere in the region underline the seriousness of the problem: the worth of the drugs are several times more than that of the budgets of those countries. It may well be, as Africa and the War on Drugs argues, that African “discourses on drugs” are shaped by “western ideas on drugs and the supply-sided control” (p.7). But is that not because the “discourses” are rooted in lived reality? This brave little book unintentionally reveals, once again, the danger of substituting one’s irritation with some of the awkward policies of western governments with concern for the African predicament. Friends of Africa should always have this trap in mind. Dr. Lansana Gberie is a specialist on African peace and security issues. He is the author of A Dirty War in West Africa: The RUF and the Destruction of Sierra Leone (Indiana University Press 2005). He lives in New York. [i] See Emmanuel Akyempong, “Diaspora and Drug Trafficking in West Africa: A Case Study of Ghana,” African Affairs 104 (416), 429-47; and Stephen Ellis, West Africa’s International drug Trade,” African Affairs 108 (431), 171-196. [ii] The AU that year recognized marijuana as “the most problematic illicit drug in Africa” and estimated that it accounts for 64 percent of drug treatment demand on the continent.